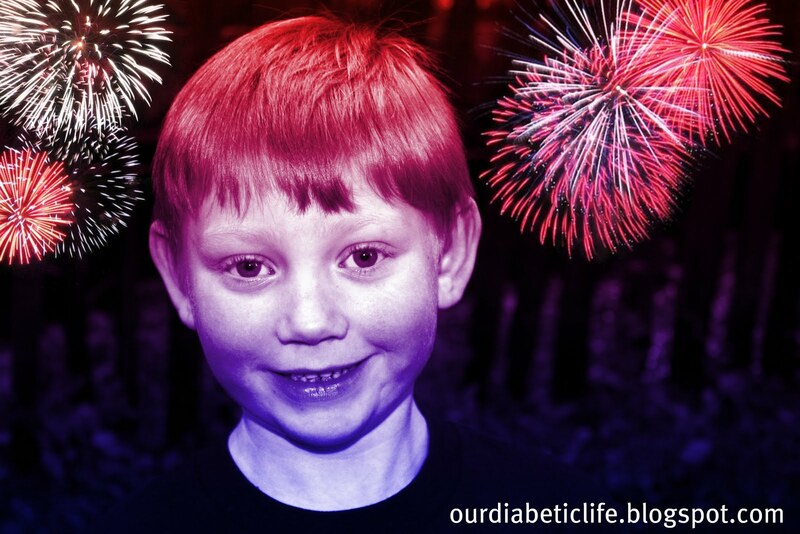 Our Diabetic Life: Let's hear it for the boy! Since I was a little slap happy in my last post, I thought I should tone things down a little with nothing less than a spotlight on one of my boys for his HUGE accomplishments this summer. First, and most significant, L is feeling his lows. But even more than that, he is TELLING me that he feels low. And let me tell you, Lawton isn’t happy about it. He doesn’t like the fact that L is beating him to the punch. If L tells me he is feeling low before Lawton does, Lawton doesn’t get a treat. L will come in and tell me and then go to check his sugar and Lawton will follow me to the fridge, often beating me there…waiting for his treat. 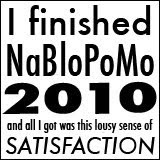 And sure enough his Jello legs were always spot on. So finally he has put two and two together and has been telling me when he is starting to feel low. He is also going into first grade next month and has been working diligently this summer on learning how to read. Turns out he is a memorizer like his mother. He doesn’t like to sound things out…he totally can…but when I ask him to sound a word out that he doesn’t know, he just looks into the air until he can pull it out of his hat. But regardless…progress is being made! Anyhoo…he finally has the terminology now…but how he communicates it is a hoot. Lastly we are working on what foods have carbs, and what do not. We still have a way to go with this one. But slowly but surely…progress is being made. How can you not love this boy? My baby. He makes my day with his wonderfulness. I guess six years old isn’t technically “baby” anymore. But what ev’. He is still so cuddly and so sweet, and his fat toes are still my favorite breakfast! He’ll forever be my baby. He totally cracks me up! I love how he communicates his bg to you! Especially the "I'm sure it was an accident.... I'm high"! I hope you don't hear that in a few years for other reasons!! Too darling! Brag away - I love it! He is AMAZING!!! You should be so proud...BRAG AWAY! Ally is just starting to recognize her lows also...and I thought the most interesting part of it was that she seemed worried about telling me when she was feeling low. She didn't want to disappoint me :) Sweeties!! I love his good news bad news comment! cool dude. Go L! yeah Im with hallie on this one hope you dont hear that it was an accident one in a few yrs for other reasons LOL !!! Boy when i think of all the times I heard this oy yeah as my grand used to say . Oh kudos to L very good . Love this post Meri!! Go L! You are rockin' the D! AWESOME job! That's Awesome Meri. It's a huge step for L. WOOT! What wonderful news - it's fantastic how he is communicating with you - love the good news and bad news part - like he has to 'break' it to you somehow! L sounds like an amazing kid (who happens to have an amazing Mommy!! It sounds like you're doing a great job teaching him. My boy is 5 so I can appreciate the mountain you've climbed to get to this point. I can barely get my son to tell me when he has that "tinkle" feeling! Be proud! That L is hilarious.... what a great boy you have raised Meri!! He is SO darling! He sounds like he has the cutest little personality. Hooray for feeling lows! It's so great that he is able to communicate his lows now. That's a big step and you must be very proud. He is such a cutie, Meri. I love the idea of your dog pouting at not getting his treat due to your son "beating" him to knowing he's low. Just something funny in that, I kind of picture your dog like the one from the book "martha speaks" and I wonder what Lawton would say if he could! Good for your boy being able to recognize and communicate how he is feeling. That will help him a great deal when he's at school or in general so that he's quicker to help himself. Isaac already recognizes when he's low, but he doesn't usually tell me so kindly...we're working on that! And teaching him to communicate like that....aren't you the one who declared this the summer of sleep?! Looks like you're rocking this summer!!! Bragity brag brager :) Just kidding... I don't blame you. He is one sweet little boy. Oh Justin feels either "wobbly" or "like a bobble head". Yea L!!! I love reading about how you've worked with him. It is a long road from a completely dependent little boy to a competent, independent young man, and I am trying my best not to even look. We're still trying to get Liam to recognize his lows, but it doesn't happen often. It's comforting to see that it can be done. And I LOVE his comments! What a funny little dude! Love the communication! Great job Meri! He sounds like a total cutie pie!!! GREAT JOB AND HIGH FIVES ALL AROUND!!!! Funny, because Addy gets Jello legs too...I had to laugh when I read that!! WAY TO GO L!!! And WAY TO GO Meri-Moma!!! You guys are fabulous. Congrats on feeling and vocalizing those lows. BIG STEP! LOL What a cute, funny lil guy!! AND those are some GREAT accomplishments!! WOOHOO!!! Way to go L!! I've got good new and bad news . . .
good news - how super cute is L? bad news - you're in trouble 'cause how super cute is L? I love L!! What a smarty!! 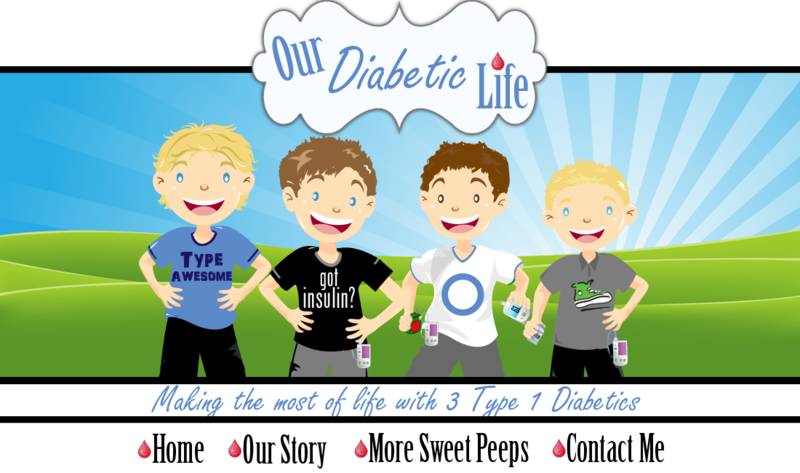 Meri, you are an awesome blogger! I love reading your posts. You bring across the personalities of your kids so well. L sounds like such a cutie! I have a feeling our babies will always be our babies, no matter how old and how big they get! 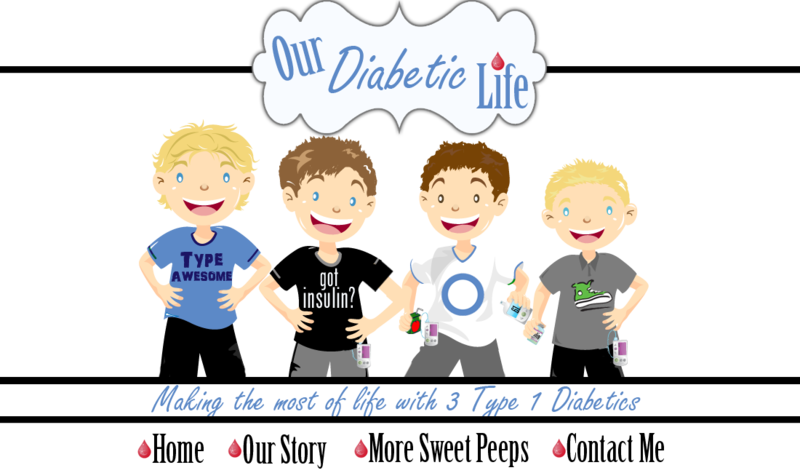 Awesome job teaching your littlest how to communicate his blood sugars and feelings! You're doing a great job with your boys!